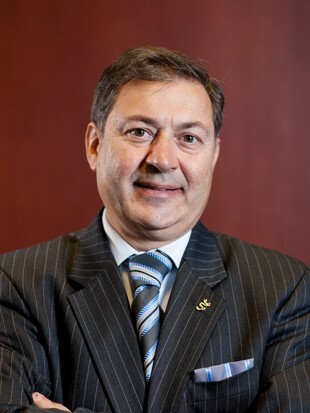 George Tsetsekos | Econsult Solutions, Inc.
Dr. George Tsetsekos is the Francis Professor of Finance and Dean Emeritus at LeBow’s College of Business at Drexel University. He served as Dean of LeBow (2002-2012) and under his transformative leadership the College achieved important quality milestones including recognition by BusinessWeek, Financial Times, and U.S. News & World Report. During his deanship, LeBow commenced an ambitious capital campaign program that allowed for the completion of two business school buildings, naming several new centers of excellence and establishing new endowed professorships. Prior to his appointment as Dean, he served as Drexel’s Vice President (1997-2001) responsible for university-wide academic functions and contributed in implementing the acquisition of MCP Hahnemann University that transformed Drexel University to a national comprehensive institution with the addition of Medical, Public Health and Nursing academic areas. Dr. Tsetsekos’ extensive research covers the broad areas of corporate finance, investments, and international finance. He has published his research in many journals including The Journal of Financial Economics, Journal of Banking & Finance, The Journal of Portfolio Management and Journal of International Business Studies. He is the author of books on finance and international capital markets and has served on editorial boards for several academic journals. His academic work has been complemented with advisory and consulting assignments in many organizations and Universities in the US and abroad including The World Bank, The Securities and Exchange Commission (SEC), Bear Stearns, FannieMae, Calamos Investments and Thomas Jefferson University. In addition, Dr. Tsetsekos has served on the Advisory Boards of private and non-for profit organizations including the Federal Reserve Bank of Philadelphia, the Penjerdel Council, Pennsylvania Economic League, World Trade Center of Greater Philadelphia, and Global Interdependence Center (GIC). Recently he is the Chairman of REVL Capital Group, a boutique investment bank specializing in structured products and merchant banking. Dr. Tsetsekos lectures frequently on international economic/finance topics, teaches MBA courses on strategy and global finance and serves as faculty advisor to the Private Equity and Venture Capital Student Club at Drexel University. He holds a BSc in Electrical and Mechanical Engineering from the University of Athens, Greece, an MBA from Wright State University and a Ph.D. in Finance from the University of Tennessee.